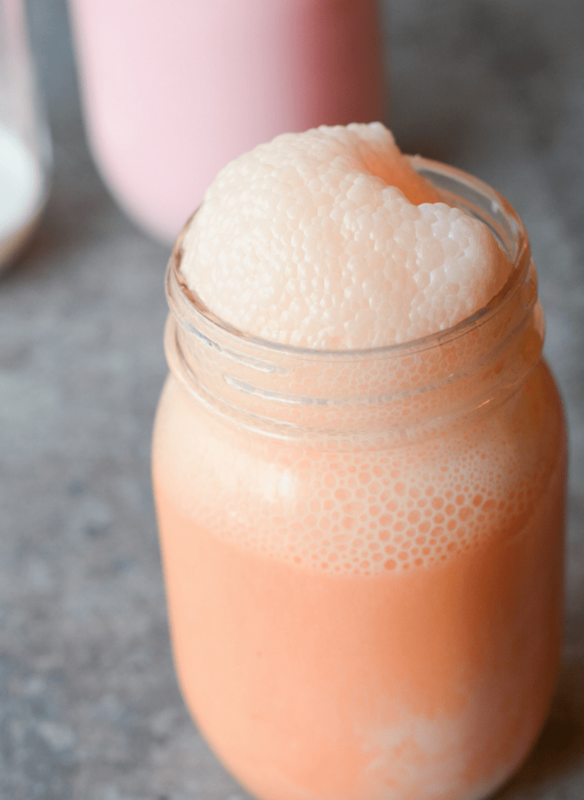 These Keto Friendly Floats will help you wash down your favorite meal in a low carb, high fat way! They’re ridiculously simple and amazingly yummy! 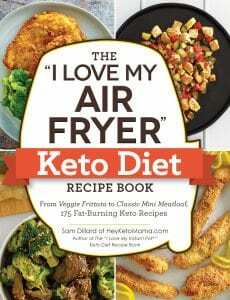 Last night I posted a picture of one of my favorite LCHF Keto Friendly treats and the response was pretty awesome. So I decided for today’s post I’d bring you a RIDICULOUSLY simple post showing how it’s done three ways. Really the possibilities with these floats are endless, as long as you’ve got Heavy Whipping Cream and your favorite diet/sugar free drink! You just start by putting 1/4 cup of Heavy Whipping Cream in your glass. I use mason jars because I know they hold 2 cups, and cold things just taste better from a glass. One tip on these…the colder, the better! Anyway, I made a Root Beer Float (Diet A&W Root Beer) An Orange Dreamsicle (Diet Sunkist Orange Soda) and Strawberries and Cream. I think the strawberries and cream was my favorite because it reminded me of Italian sodas I used to get all the time as a teenager. For this one you could use strawberry soda but I used flavored water since I couldn’t find diet strawberry soda. 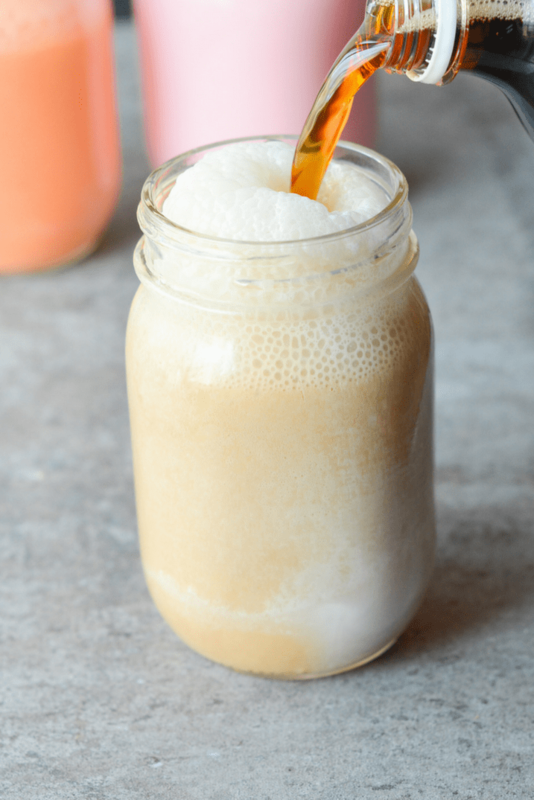 These keto friendly floats are delicious, simple, and the perfect fat boost at the end of the warm summer days ahead. 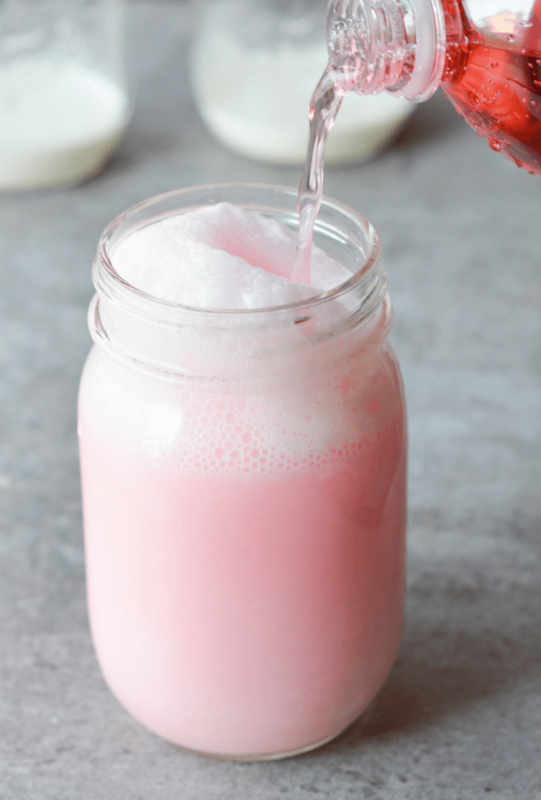 What else would you add Heavy Whipping Cream to to make a Keto Friendly Float? Thank you SO much for this recipe!! Ive been keto for about 10 days now and really needed a yummy treat! I never would have thought to do this! Thank you thank you thank you!! This is kind of a “Godsend” and I don’t normally say that word. This was the perfect ice cream float fix! Will become a once a week treat. Sorry to be the one to break it to you but whipping cream DOES have carbs (even Land O’Lakes). Products with less than 1g of carb per serving can legally be labelled as zero carb. One quarter cup of whipped cream has 1.75g of carb. Still pretty low but definitely not zero. There are several brands that ARE actually zero carbs. Wal-Mart sells “Byrne Dairy” in Pennsylvania and it is zero. Sam’s Club also sells a zero carb heavy whipping cream that is zero carbs. So shop around…They are out there! All cream has carbs. This is less of a brand issue and more of a labeling issue. Even though the labels read ZERO it is a rounding. Not true zero. 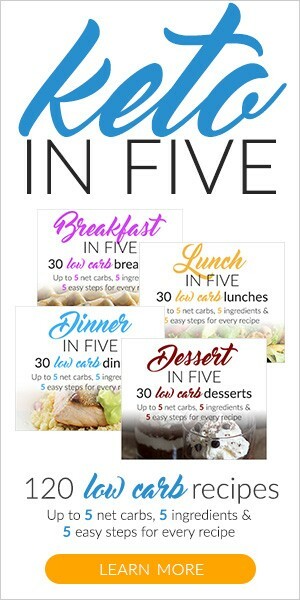 Cream has around 1/2g carb per tablespoon. In small quantities it may not be of concern but it’s still helpful to know overall. Can I whip the heavy cream until it forms stiff peaks, freeze it, and then pour the diet soda on top? Has anyone done this? Wondering if it will be more like an ‘ice cream’ float. I haven’t tried that but it sounds delicious! 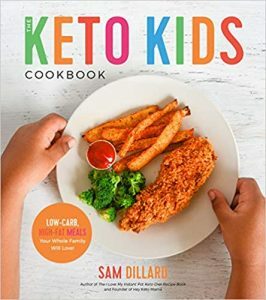 Sam, I’ve been Keto for 5 yrs. lost all my planned weight plus some. Recently my dr said my cholesterol was up and told me no more dairy and low red meats. I went cold turkey but started adding back dairy just not nearly as much. I switched to half and half n place of hwc bc of fats. It’s just as good and works almost as well. I tried it over frozen cool whip (which I eat as ice cream haha) and it tasted just like an ice cream float! Both ways are so good!!!! Thank you! Thank you!! Since being fairly new to keto I’ve been dying for something sweet!! Can you suggest some sweetener that’s more natural?? I can’t do the bulletproof coffee but I miss my coffee! Ive tried stevia brands but I still taste an artificial taste! Any help would be appreciated! Hi Carol! Welcome to Keto 🙂 My favorite sweetener is erythritol (particularly powdered), but I’ve seen lots of ketonians have success with monk fruit as well. I’m in the same boat as you as far as stevia. At least for the time being, I’m not a fan. Best of luck to you! Hi Carol! A good source for learning about sugar substitutes in on YouTube. Look for Dr. Eric Berg. Look for his videos from 2017 and later. He has made several cooking videos with his wife (very entertaining) and they both teach a lot about sweeteners, cooking keto, healthy eating in general. Xylitol and Erythritol are pretty similar but some people experience intestinal issues from one or the other. Eruthritol doesn’t work for me. Makes my head go stupid for about an hour. I’m trying monk fruit! 1 gram of carbs or not. It’s worth it for a sweet tooth fix! There’s goes the Keto police!!!! The treat is wonderfully delicious. These are great! I miss ice cream and especially floats and these are quite satisfying.